Give us your email so we can send you Buy Sell Bike Coupons once a day and our biweekly newsletter. You can now sell or buy bikes online right from home. You can even get discount when your use the coupons for buying or selling bikes online. 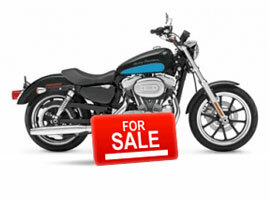 Sites like Droom, OLX, allows you to sell or buy bikes online. From scooter to bullet, you will get all variety of bikes online. All the second hand bikes are checked thoroughly by the sites so that customer can buy without hesitations. You can even book for inspection of your bike. Once inspection is done, you can upload the pictures to sale the bike. Buying second hand bikes has been made easy with online sites. Customers do not need to shell out any extra money as commission to agent. You can directly contact the buyer or seller to get the complete information.